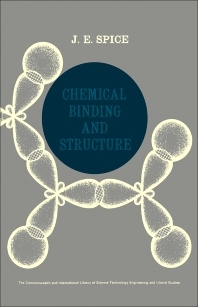 Chemical Binding and Structure describes the chemical binding and structure in terms of current chemical theory. This book is composed of 13 chapters, and starts with a presentation of the principles of the old and modified quantum theory and its application. The next chapters cover some basic topics related to chemical binding and structure, including electrons, the periodic table, the electrovalent and covalent bonds, and molecular geometry. These topics are followed by discussions on the nature of the bond in transition metal complexes; electronic and crystal structure; crystallinity; and other states of matter. The concluding chapters are devoted to some analytical techniques for structure determination, such as diffraction and spectroscopic methods. This book is of value to high school and college chemistry teachers and students.